Plus the stuff about ‘access any time, anywhere’ (which I think is more or less a given these days with online apps). This is an interesting update from a couple of perspectives. Firstly, on the business side, my understanding was that Widen already integrate with ConceptShare, who offer a tool that is remarkably similar. I would expect both parties to highlight the differences between the two products, but it reads the same to me in terms of the kind of customers they are both going for. We noted a last year that Aproove were a further possible competitor to ConceptShare. While the core DAM vendor market is overstuffed with suppliers and limited differentiation between them, the ancillary tools segment is (in my view) where the major growth opportunity lies and it is now time that there was more competition in each of these areas to provide some improved choice . The press release does not say it, but I have to wonder if this integration is being initiated at the request of one of Widen’s own customers who already use ProofHQ and now want their DAM of choice to work with it. At least half the integration/partnership new stories we cover originate because an end user mandates that DAM vendor x must work with ancillary provider y (and it’s a deal-breaker if they cannot oblige). The vendor’s marketing/press people then spin this ‘virtue out of necessity’ situation as a story for trade publications (like this one) to cover. I would imagine that forced integrations of this kind are likely to decline soon and more vendors will want to do it anyway to give themselves more of a competitive edge. All of which leads to the other noteworthy point: this is yet another integration and indicates that DAM systems are becoming increasingly embedded into enterprises, not just due to increased use, but as a result of deeper interaction with the wider application infrastructures that are currently in the process of being established now in most organisations (whether large or small). 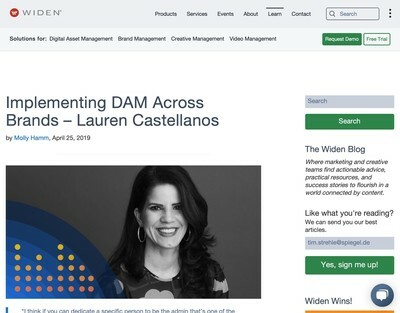 Marketing technology is often cited as a key area for this and it probably is the largest single area, but I believe there is a macro-trend towards DAM being applied to operational processes, in general, of which marketing just happens to be the first and/or biggest. 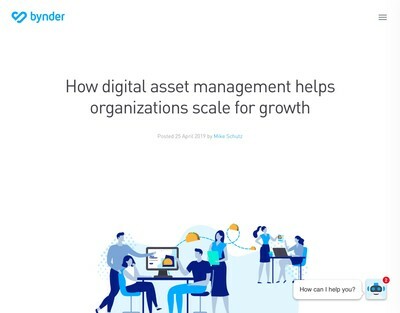 Digital media like images, video, audio etc get used across numerous departments now in most organisation and they are all going to need somewhere to store it in a way that will allow them to quickly find the requisite assets later. 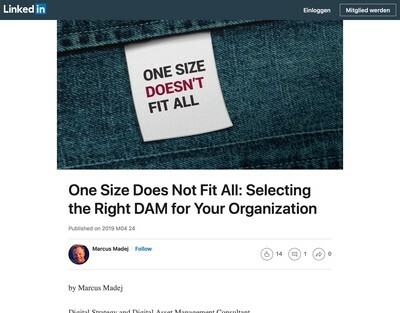 Where this is all ultimately leading for DAM is harder to assess, but evidently Widen have (in my view correctly) decided that the more third party solutions they are integrated with, the more useful their own solution is and the less likely they are to be replaced by a competitor because of some more rudimentary business issue, such as a cheaper price. 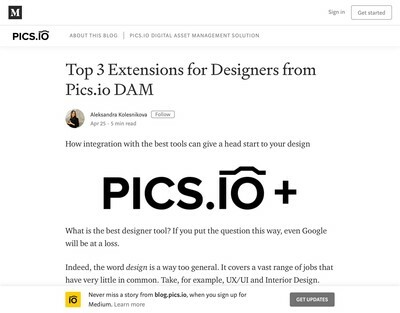 We have discussed on DAM News before about the increasing competition from very low cost commodity alternatives like Box, Dropbox, Google etc and while all those options can scale up their features, integrating them with something else is still a non-trivial undertaking that you need subject experts, consultants etc to help you with. It is possible to foresee the extent and range to which a given enterprise DAM solution can integrate with other applications becoming the pre-eminent selling point in the not too distant future, especially if many of the other core functional differences have been homogenised across different platforms. Next post: Does The DAM Industry Still Need DAM Trade Shows?